The Chicago Cubs beat the St. Louis Cardinals 6-4 on Tuesday night, winning the team's first National League Division Series title since 2003 in front of a raucous crowd at Wrigley Field. Now, this is a life-giving sentence for Cubs fans, but it doesn't really do justice to how Chicago went about dispatching the league's winningest regular-season team. The Cubs didn't beat St. Louis so much as carpet-bomb the Cardinals with sustained home run shots. Just as Jake Arrieta's pitching streak began to cool, Chicago's bats shouldered the heavy lifting with a historic, six-home run barrage in Game 3 of the series. Chicago's air raid bled over into Game 4, where rookie outfielder/miniature rock golem Kyle Schwarber teed off on a Kevin Siegrist pitch in the seventh inning. Fans watched as Schwarber's shot cleared the digital screen in right field and disappeared, possibly leaving our planet to save Matt Damon. The reality, however, is that Schwarber's space ball is still up there atop the screen, and the Cubs have since enshrined the artifact in a fitting resting place. As the Chicago Tribune's Paul Sullivan reports, the team confirmed the ball's authenticity by checking for the postseason marking on the cover. As for the shrine itself, this is the proper spot for that ball. It should always be watching from above. It was more astronaut than Rawlings, anyway. As for the Cubbies, they'll face the winner of Thursday night's Game 5 showdown between the Los Angeles Dodgers and New York Mets. Whoever they get, ace pitching will be pitted against a monstrous offensive arsenal. There's a good chance at least one ball will return to earth covered in Mars water. Dan is on Twitter. He can't imagine how much gravel Kyle Schwarber has for lunch every day. Baseball children: still the undefeated featherweight champions of the sports children world. I've covered it before, so I won't elaborate further on the stranglehold of awesomeness baseball children have on the sector of youth/sports fandom. What I will do is point your attention toward Cooper Arrieta, son of Chicago Cubs ace Jake Arrieta, who celebrated like a champion after Chicago's 4-0 win over the Pittsburgh Pirates in the National League Wild Card Game on Wednesday night. Strong work, that. Cooper pours champagne with more dexterity than 99 percent of the major leagues. Good times and great sports babies in Chicago. And don't worry about the champagne. It's a good burn! Dan is on Twitter. Cook's is the finest brand of eye drops. Somewhere in Pittsburgh, a cooler lays battered and bruised—possibly impaled on spikes due to a special "fatality" button-mashing. And its killer was Sean Rodriguez, who transformed into some kind of Jack Sparrow/Rocky Marciano hybrid after being ejected from Wednesday night's NL Wild Card Game between the Pittsburgh Pirates and Chicago Cubs. The ejection came after a beaning in the seventh inning brought both teams onto the field for a largely innocuous screaming contest. Pirates reliever Tony Watson stung Cubs ace Jake Arrieta in the hip, Arrieta chirped back, and both dugouts emptied out of obligation. No one was serious about the on-field confrontation resulting from the plunk—except for Sean Rodriguez. Rodriguez apparently didn't get the clubhouse memo about no one actually wanting to escalate postseason tiffs. So he waded in fists blazing. The result was an ejection for Rodriguez, who stormed back to the Pittsburgh dugout to unload the rest of the punches he'd been keeping on ice for the occasion. His target: a callow, defenseless water cooler. Poor thing couldn't even manage a combo breaker. Rodriguez says Cubs catcher David Ross grabbed his throat during the dustup, inciting him to throw a punch or two. It seems he felt worse about punching the cooler than swinging on Ross. "Ross grabbed me right by the neck," Rodriguez said, per ESPN.com. "He was choking me and pushing me back. Would do you do as a man? It may be wrong what I did afterward, but I was pretty heated." Oh, Sean. Of all pirates, you are the most pirate-y. Dan is on Twitter. The last time he did this, he didn't get his room deposit back. If you live in the Atlanta metropolitan area and hear a loud, prolonged steak-fart coming over your radio Wednesday, don't be alarmed. That's just Mike Bell explaining his tweets. Bell, a sports-radio personality for CBS-affiliated 92.9 The Game in Atlanta, worked himself into a nice, meaty lather Tuesday night after watching MLB analyst Jessica Mendoza participate in the ESPN's AL Wild Card Game broadcast. A two-time softball Olympic medalist, Mendoza has filled in capably for Curt Schilling over the last month as the ESPN Sunday Night Baseball analyst served his suspension for controversial social media posts made in late August. Mendoza's done well with the opportunity—so well that ESPN brought her on to work Tuesday night's AL Wild Card showdown between the New York Yankees and Houston Astros, making her the first woman ever to do analysis for a nationally televised MLB postseason game. Predictably, however, Mendoza's milestone was received with push-back, and a boorish cross-section of America's downtrodden male population lifted its knuckles from the dirt to shake a fist at the sound of a female voice speaking during a baseball game. More surprisingly (or not), one among their number was Bell—ostensibly a media professional employed in 2015. Bell has since deleted the tweet, but Twitter is forever, and Boiled Sports (h/t Big League Stew's Mike Oz) grabbed a screenshot of the message. If you're still in the mood for more strong, Manwich-flavored #takes, Bell still has a bunch of other tweets about Mendoza from Tuesday on his feed for your perusal. There's even a "Curt Schilling is worse than a woman!" joke! Ah, beautiful stuff. Like cootie-phobic cave paintings drawn with Crisco. For what it's worth, Bell has since tweeted an apology about his wording. He didn't "@" Mendoza, but he wants his followers to know he's sorry for calling her that name. Yea. Trending for your remarks about women overstepping in the workplace isn't really a good thing. But hey—it's hard out there for males in sports media! Got to take the press you can get, right? Dan is on Twitter. He keeps his Twitter fingers unloaded and locked in a safe. Think about what an obituary is. It's the collaborative effort of a newspaper writer and a deceased's loved one to tell the abridged story of a person's life. It has to be dignified. You have to paint a picture and do the person justice. But it's still Cliff Notes of elegies, meaning there's not a lot of room in obituaries for stuff like, "He loved every ingredient on Supreme pizzas but the olives." Which is why a section in a New York Yankees fan's obituary is so very moving: After presumably narrowing down the list of things they believed were important to the deceased, the fan's family knew they couldn't talk about her love for the New York Yankees without mentioning her intense distaste for Alex Rodriguez. The obituary appeared in the Star-Ledger (h/t BlackSportsOnline.com's Glenn Erby) on September 30. ... Fowler was a former member of the Cranford First Aid Squad and a lifelong Yankees fan, with the exception of Alex Rodriguez. That is awesome. Not because Alex Rodriguez necessarily deserves your hate. That's a personal thing everyone has to decide on their own. What I love is Helen's dedication to the sentiment. She saw so much baseball, probably had so many opinions on the game—and the one that stood out to those she knew best was her towering, undying dislike of A-Rod. I can't even begin to fathom the amount of high-quality trash Helen must've talked about Rodriguez. Obviously, it was not an insignificant part of who she was. And as a confirmed member of the International Player Haters Union, I appreciate that kind of commitment to letting people know when you think something is trash. Rest easy, Helen. You're a monument to New York sports. Dan is on Twitter. He realizes now he has to step his sports hating up. Endeavoring in a bit of revisionist history, the Washington Nationals appear to have removed every trace of Jonathan Papelbon from their team store at Nationals Park. Twitter user Jennifer Shiffman (h/t SB Nation's Whitney Medworth) posted an image Monday of recent before and after shots of the team shop. The Nationals closer's jersey went from being prominently displayed to conspicuously missing after Washington's 12-5 drubbing at the hands of the Philadelphia Phillies—a game wherein Papelbon went full Bobby Knight and attempted to choke teammate Bryce Harper for failing to run out a pop-fly. If anything, whitewashing Papelbon from the shop seems like a flaccid acknowledgement of a failed experiment by the Nationals front office. Washington brought in Papelbon at the trade deadline hoping to bolster the bullpen of a team primed for a playoff run. Since the acquisition, the wheels have come entirely off the wagon for the Nationals—a devolution that doesn't rest on any one guy but doesn't do Papelbon any favors, considering recent events. Papelbon received a three-game suspension from MLB on Friday for throwing at Baltimore Orioles third baseman Manny Machado's head during Wednesday's game. Combined with a new four-game suspension levied by the Nationals for the Harper incident, Papelbon will sit for the rest of the season. So if you need him, Papelbon will be on the pine, grinding his teeth, cursing every invisible force and element in the world that has conspired to put him in this position. As for Harper, he didn't play in Monday's game against the Atlanta Braves for his part in the fight, per the Washington Post's Chelsea Janes. "[Harper] was involved in a [dugout] fight with Jonathan Papelbon," said Nationals general manager Mike Rizzo, when asked why Harper didn't play in Monday's game. "That was the reason." "Bryce had some accountability in the issue," Rizzo said. "We thought that to discipline Papelbon the way we did and not Bryce was unfair. You could see by the type of discipline we placed on both players which was weighed the most." Translation: Chokers get four games and their jerseys pulled, while chokees only get a single game. Dan is on Twitter. Baseball isn't about not giving effort on a pop fly. It's about how you don't give effort on a pop fly. Retractable roofs are big, cool and expensive, and like any other big, cool and expensive thing ever made, they're prone to some annoying hiccups. In the case of the retractable roof at Chase Field, it has some problems with its "being a roof" function—or, more specifically, the part where it shields those beneath it from the elements. Gaps in the roof's structure made their presence known thanks to a heavy rainstorm that dumped down on Phoenix during Monday night's game between the Arizona Diamondbacks and San Diego Padres. The rain trickled through the roof and fell predominantly on a section of unlucky fans seated behind home plate. Now, I don't exactly know how to rate this type of phenomenon on the spectrum of retractable roof fails. At least the Diamondbacks used the roof—that's what it's there for. Also, I don't envy the guys who have to go up there and find the breach in the roof's armor. It's made of 9 million pounds of steel, according to the Diamondbacks website, so it could take a while to find and patch things up. Dan is on Twitter. 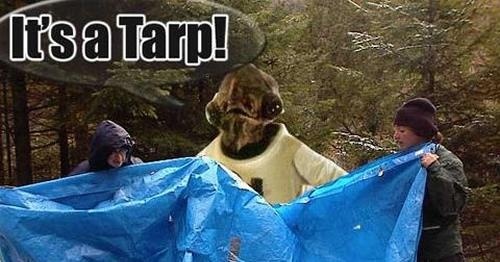 It's a tarp! All it took was one—one decent regular season for you to go full Bawston. You get a couple of good pitchers on your team and all of a sudden you're Ben Affleck stumbling around outside O'Flannigan's and pounding your chest on social media. All poor Bryce Harper wanted was to share a moment of light he found in the dark, dark hole the Washington Nationals have slid into, and you couldn't even let him do that. Just take a look at Harper's Instagram. It's not a photo page anymore—not after New York completed its three-game sweep of the Nationals on Wednesday night. The thing is, I get where Mets fans are coming from. Their team is exciting. I'd watch Jacob deGrom throw fastballs until the sun burns out. He's like a giant Cocker spaniel with unpredictable action. But still, maybe pump the brakes a tad. The Nationals are already dead. You can't kill them again. Dan is on Twitter. Never go full Bawston. Chicago Cubs outfielder Chris Coghlan took a brief trip into the stands at Busch Stadium on Wednesday afternoon in pursuit of a foul ball off the bat of Tommy Pham. He ended up making the catch and tumbling into what's more or less the St. Louis Cardinals' splash zone—an area of seating directly on the other side of the super low wall along the right-field foul line. I also like how one woman kept her hands up for so long after the catch. Nothing bad happened, but she'd be damned if anyone confused her for having a hand in this tomfoolery. I'll never not find joy in you, weird baseball fans. Dan is on Twitter. Foul ball adventures are basically a cottage industry in sports. Matt Williams had some questions waiting for him after the Washington Nationals' 8-7 loss to the New York Mets on Tuesday night. The concerns were over a number of baffling late-inning calls Williams made against New York that effectively lost the game for Washington, not the least of which was his decision to have Anthony Rendon bunt on a 3-1 count in the bottom of the ninth with Jayson Werth on first. Moves like this, combined with the team's continued inability to catch up to the division-leading Mets, have left Nats fans exasperated. In this spirit, some sneaked into the Nationals' postgame press conference Tuesday night and booed as the manager left the stage. NBC Sports' Craig Calcaterra spotted video of the incident. The fans were at least polite enough to wait for him to finish shrugging to start the jeers. Despite this run-in, Williams is trying to stay positive, per Sporting News' Travis Durkee. Speaking with 106.7 The Fan in Washington on Wednesday morning, Williams called the team's fans "fantastic" and noted their passion when asked about their recent anger. "They're avid supporters of all of us," Williams said. "And we'll leave it at that." Well, he's not wrong. Avidness is characteristic of a fanbase that will drive a coach out of town by torchlight and make managing expectations a very difficult task. Then again, no matter who your fanbase is, it's never a good sign when its booing spills over into the press conferences. That's a pretty reliable mineshaft canary when it comes to a coach's job security. Dan is on Twitter. Boo him there on his lunch break. Grumpy Cat doesn't know a lot of things. She doesn't know she's famous or that her face has taken over half the Internet since 2012. She doesn't even know that she's grumpy, much less why she was brought out onto the mound for Monday's game between the Arizona Diamondbacks and San Francisco Giants. September baseball isn't really Grumpy Cat's dish. Call her back in October, and she'll give it a try. Or don't call. She doesn't care. Dan is on Twitter. On the day after Labor Day, we are all Grumpy Cat. You always hear about foul ball heroes and villains—the guy who catches the ball with his beer or ducks out of the way and lets his girlfriend take a liner to the hip. These are the main characters, the stars of foul ball cinema. But what about the supporting actors? The geeks on the periphery who reach and get nothing but air? Without these people—the ones who didn't catch it—the joy of coming up with the foul ball evaporates. They are necessary and largely unsung cogs of the baseball ecosystem, and they deserve some recognition. Thus I point your attention to Wednesday night's game between the Chicago Cubs and San Francisco Giants, where one Chicago sports fan risked everything in his possession for a falling baseball and ended up with nothing but wet starch to show for it. The fan in question was a Cubs fan, or at least a supporter of the Windy City (the Bears hat and Blackhawks shirt symbolizing the balance of pain and joy of being a Chicago sports fan), and he dropped everything—tray of fries and all—for a foul ball near some stairs at AT&T Park. The fries flew, another man rushed in spilling beer, and a scrum ensued. In the background, Fry Man slunk off, suddenly a victim of collateral damage—a tragic side character in someone else's movie. Sometimes, you get the ball; sometimes, you get the stair fries. Dan is on Twitter. You are not defined by your stair fries. Larry Bowa went over the edge of oblivion Tuesday night, exploding on officials and New York Mets players in a meltdown seemingly in the making since Monday's 16-7 home loss. The Philadelphia Phillies bench coach was ejected in the seventh inning of Tuesday's game after a tirade sparked by Mets righty Hansel Robles seemingly trying to sneak another quick pitch past a Phillies batter. The first occasion occurred Monday night, when Robles slung a ball past Cameron Rupp while he was setting up in the batter's box. When Robles appeared to try it again Tuesday against Darin Ruf, all hell broke loose in quick order inside the Phillies dugout. Phillies outfielder Jeff Francoeur was the first to complain, running to the top of the dugout stairs and yelling at home plate umpire Dan Bellino. Bowa quickly outdid his right fielder, rushing out to tear into Bellino and immediately getting ejected. While he eventually retreated into the clubhouse, Bowa left the game with some handpicked parting words for Mets infielder Daniel Murphy. He dropped a few F-bombs and appeared to threaten Murphy with a beanball in the guts—or he was just telling Murphy he needed to "vacuum" his jersey. Either/or. The Phillies bench coach was not made available to the media after the game, but as NJ.com's Randy Miller reports, Francoeur minced few words while explaining his anger over Robles' pitching. "That was chicken s--t," Francoeur said. "My whole point was let the guy get in the box. If they can't understand why I was upset about that... Even Dan Bellino was freaking out behind the plate when [the pitch] was coming. That's when I started screaming." This is true. Bellino put his hand up right as Robles began his motion, but sometimes you have to just ignore the haters and pitch through the warning tracks, apparently. I just know the guy's head was down. I think the rule is you can't throw it until at least they're looking at him. So I was telling him to wait. He threw it. You never know what could happen in that situation when you're looking down and something like that happens. On a hilarious and possibly related note, d'Arnaud accidentally had the best bat flip of the 2015 season after taking a walk in the sixth inning. "It was definitely over the top," d'Arnaud said. "I had too much pine tar on my hands. It's disrespecting the game and that's not the player I am. I said sorry to as many people as I could before I got to first." Whether this primed the pump for Bowa's later antics, only Bowa will ever know. As for the game, the Mets went on to win 6-5 and will face Philadelphia again Wednesday night for the third game of the Phillies' four-game homestand. Don't be surprised if jerseys are vacuumed. Dan is on Twitter. Maybe Bowa was just inviting Murphy out for ribs.